Facebook CEO Mark Zuckerberg responded to recent criticism about his company’s role in the election results, calling it a “crazy idea” that fake news on its news feed had tilted the vote in the U.S. presidential election in favor of Donald Trump. “Personally I think the idea that fake news on Facebook, which is a very small amount of the content, influenced the election in any way—I think is a pretty crazy idea. 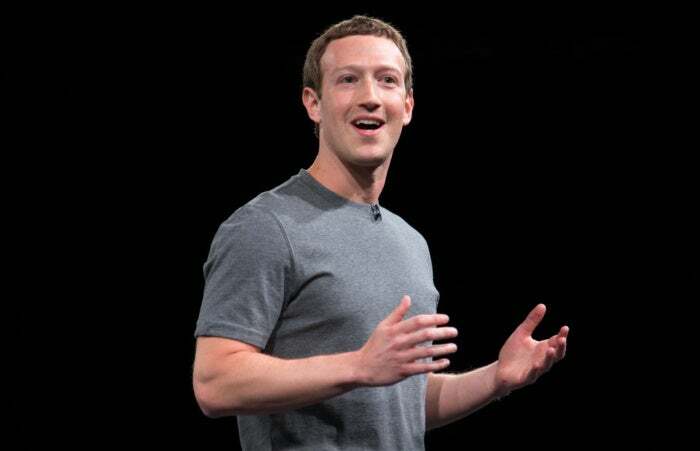 Voters make decisions based on their lived experience,” Zuckerberg said in an interview at the Techonomy 2016 conference in Half Moon Bay, California. Besides Facebook, Twitter was also marked out for its role in influencing voters to back Trump. Twitter said social media was being made a scapegoat for the election result, ignoring the roles that candidates, journalists, and voters play in the democratic process. On Thursday, Zuckerberg seemed to be saying that some people were overestimating the role of the fake news, simply because they were taken by surprise by the election results. The role of social media in the elections is likely to be debated for a long time. Recent findings by the Pew Research Center suggest that 20 percent of social media users said they had modified their stance on a social or political issue because of content they saw on social media, while 17 percent said social media helped to change their views about a specific political candidate. “Still, it is important to note that the majority of social media users are not swayed by what they see in their networks,” wrote Monica Anderson, a Pew research associate. U.S. President Barack Obama has also weighed in on the role social networks like Facebook can have in elections. “The way campaigns have unfolded, we just start accepting crazy stuff as normal. And people, if they just repeat attacks enough and outright lies over and over again, as long as it’s on Facebook, and people can see it, as long as its on social media, people start believing it. And it creates this dust cloud of nonsense,” Obama said in Ann Arbor, Michigan in the run up to the election. Facebook promotes democracy by letting candidates communicate directly with people, Zuckerberg said. Dismissing the view that Facebook creates a ‘filter-bubble’ where people get a reinforcement of their own views by seeing similar content on the social network, Zuckerberg said Facebook research shows that almost everyone has some friends on the other side whether on religious, political or other issues. “That means that the immediate diversity and diversity of information that you are getting through a social system like Facebook is going to be inherently more diverse” than say twenty years ago when people were limited to a few news stations and newspapers, Zuckerberg said. The problem at this point isn’t that there isn’t enough content from different points of view, but people just don’t click on it, just tune it out when they see it, Zuckerberg said. “Right now the problem isn’t that diverse information isn’t there…but we haven’t gotten people to engage with it in higher proportions,” he added.